In a significant ruling, the Central Information Commission (CIC) has held the Special Investigation Team (SIT), constituted by the Government of India to investigate all matters relating to black money in 2014 soon after Prime Minister Narendra Modi-led BJP won a resounding victory in Lok Sabha polls, is a public authority under the Right to Information (RTI) Act, 2005. The black money SIT is headed by two retired justices of the Supreme Court and comprises of senior representatives of various ministries, departments and agencies, engaged in ensuring law enforcement and tax compliance. The ruling comes following the argument of a Government of India official, attached with the Union finance ministry, in an appeal filed by senior RTI activist Venkatesh Nayak, that black money SIT saying that “no designated Central Public Information Officers (CPIOs) and First Appellate Authority (FAA) was appointed by the SIT”, even as replying in the “negative” when CIC asked if he had any objections if the SIT was declared as a public authority. Nayak, who is with the Commonwealth Human Rights Initiative (CHRI), had gone to the CIC to get a ruling that the black money SIT was a public authority after the Government of India successively refused to part any information for about one-a-half years on what exactly it was doing with regard to whistleblower Herve Falciani’s allegation that the authorities in India were “not doing enough” to make use of the materials he had supplied to them about illegal funds stashed abroad. The SIT was constituted in compliance of the directives of the Supreme Court in the matter of Ram Jethmalani & Ors vs Union of India & Ors -- popularly known as the black money case and a landmark judgement in RTI jurisprudence. 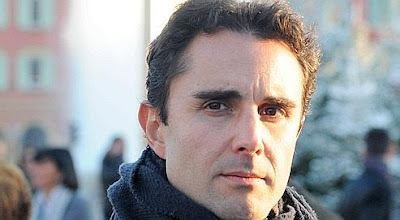 A former employee of HSBC Bank, based on Falciani’s allegation, on November 4, 2015, Nayak filed an RTI request with the with the authorities in the black money SIT seeking copies the letter reportedly written by Falciani to the chairman, SIT, of responses sent by the SIT to Falciani, of file notings related to Falciani’s letter, and documents containing details of action taken on Falciani’s letter. Says Nayak, “as it happens often”, the authorities in the Ministry of Finance “played soccer with my RTI application for more than a month” and finally an official of the Central Board of Direct Taxes (CBDT) “rejected” access to information sought by claiming that “ongoing investigations would be hampered”. After waiting for a reply from the black money SIT for 140 days, Nayak filed a complaint before the CIC to declare the SIT as a 'public authority' under the RTI Act, which led the CIC to direct the Department of Personnel and Training (DoPT) to declare the black money SIT as such. “Despite this case taking almost two years to reach finality, this is a timely development on the eve of the RTI Act entering the thirteenth year of implementation. It remains to be seen whether the SIT and the Government will comply with this order or challenge it before the courts”, he adds.